Normally I´m cycling to Bamberg every day and on my way I also pass the harbour of Bamberg. 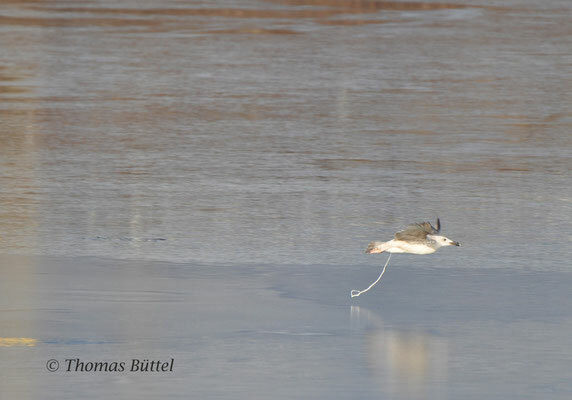 While the large harbour basins don´t seem to be the best place for seeing good birds over the most time of the year, in the winter regularly gulls can be seen there. When I speak of gulls I mean Black-headed Gulls, which are by far the most common species here. 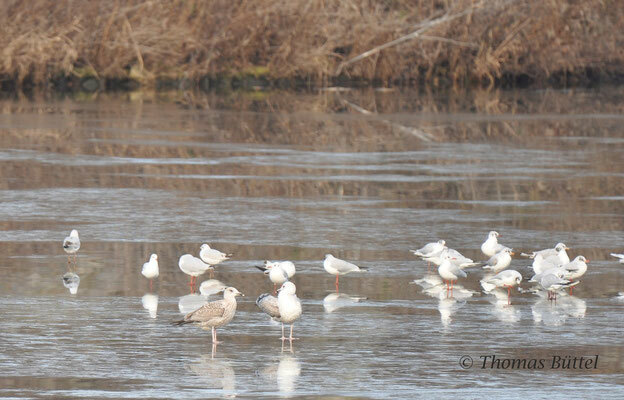 Usually I´m not paying them too much attention, since there are only seldom interesting gulls among them. Well, until today. After the cold wave of the last week the gull roost has increased a lot and so I took my binoculars with me this morning to scan the gulls for something of interest. 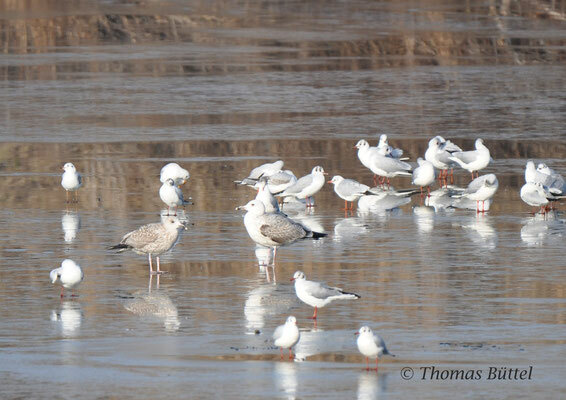 Indeed, I found several Mew Gulls (Common Gulls) and some unidentifiable larger gulls. Reason enough to try it again on afternoon, this time with the scope and my camera. Since I didn´t have much time, I focused on the tricky "larger" gulls. In sum I spotted seven different individuals. After watching them for quite a time I identified two Caspians and four Yellow-legged. So far not a bad quote for me, even though my experience in gull ID is very limited. 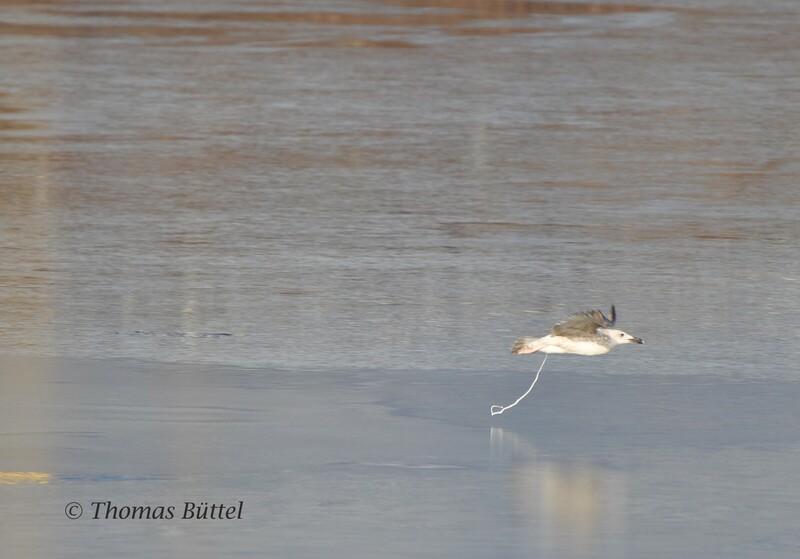 Nevertheless there were also two gulls, which I wasn´t able to pin down. The first one was standing next to a presumed Caspian Gull and while it was showing the same slender and three-coloured bill, its other features were pointing more towards Yellow-legged or Herring Gull. To make it short, I have no idea. 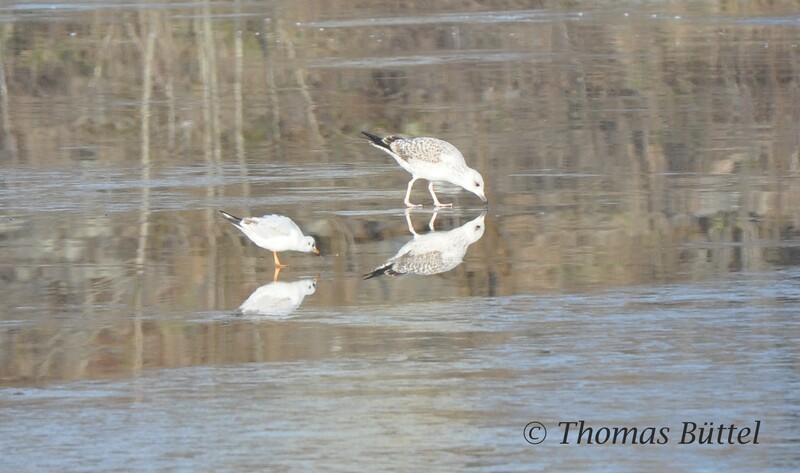 The second one seemed to have the stature of a Mew Gull but was coloured like one of the larger gulls. 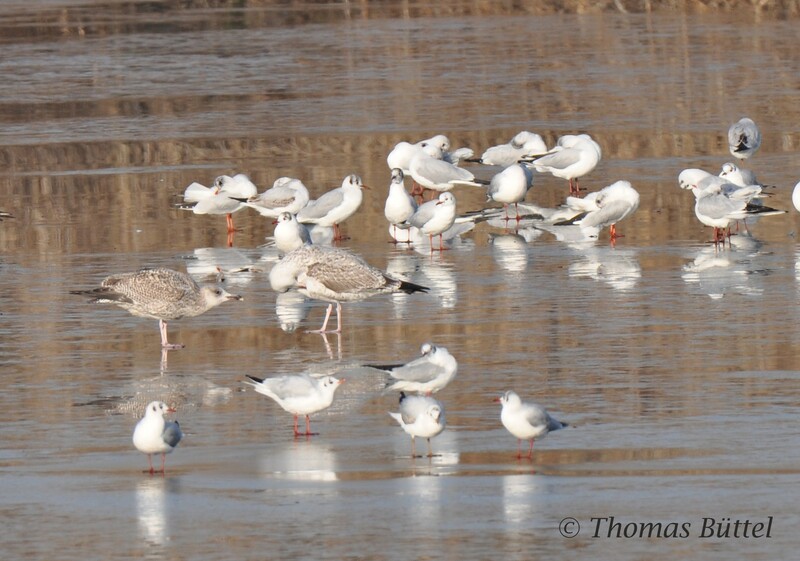 So if you know, what these gulls are, please let me know. Edit (27.01.16): After doing some research I´m now sure that the first mysterious gull should be a first winter Herring Gull. At first there is the general evenly brownish look of that gull, which is absolutely untypical for Caspian and, since it is also marked on the belly and breast, the same counts for Yellow-legged too. Finally the "notched" tertials are definitely indicating a Herring Gull. 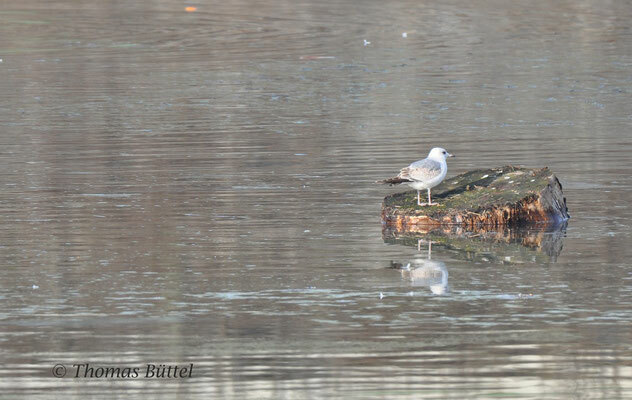 If I´m wrong (this bird would be my first Herring Gull of that age), please get in touch with me.